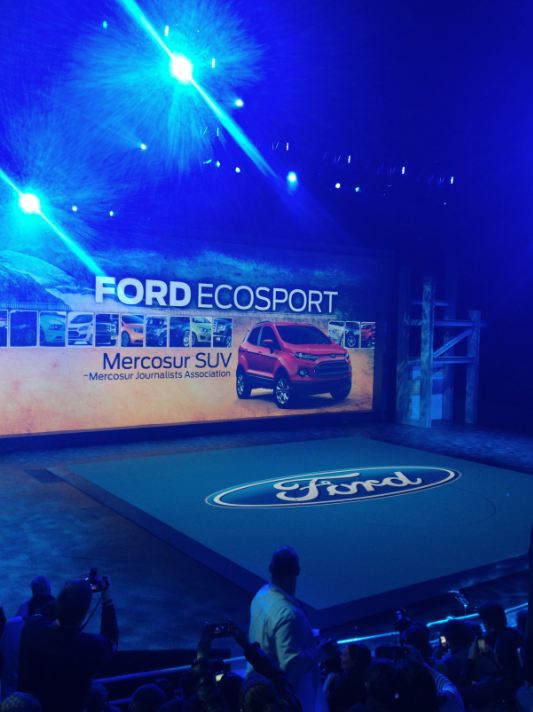 It has been an invigorating few days here in Detroit at the 2013 North American International Auto Show (NAIAS). Thanks to +Ford Motor Company, I have been hanging out with prominent bloggers from all over the world getting the latest green news that is coming out of Ford. The highlight so far was chatting with John Viera, Fords Head of Sustainability, and hearing about Ford's vision of the automobile as well as hearing from Ford's in house futurist, Sheryl Connelly, about consumer trends and Alan Mulally, CEO of Ford Motors about affordbale electric vehicles. The news from the 2013 North American International Auto Show is that it is becomingly increasingly clear that the future is inextricably connected to a more sustainable lifestyle. From the materials used in the production of cars, to the way we as consumers are looking toward brands to help us help ourselves live greener, there is no escaping a more sustainable way of life. Our cars will ever increasingly become connected with technology and that technology will not only make our lives easier and safer, but more economical as well. The talk on the floor at NAIAS this year is all about electric. As hybrid sales are currently about 3.7 percent of industry totals, that number may not seem like a huge share. Yet when you understand that that total is up from 2% in just the last 12 months, the shift from fossil fuels becomes amazingly hopeful and inspiring. To put that number into even more perspective, it was just in 2004 that Ford introduced their first hybrid. Ford is leading the way to a greener way of life that includes our beloved cars and in doing so, helping to preserve the American dream.